On the way to what some call the "post scarcity society" and other the "self actualisation society" both of which are largely driven by automation and the transformation into a society defined by access based on zero marginal cost, it is imperative to find new ways of being active within our societies. One way to be active and contribute is by means of creating art and reflecting on the world through the lens of the artist. Doing so in the current world requires a significant amount of perseverance and hardship since maintaining and income solely based on art is reserved to a lucky few. CoGalleries wants to help pave the way for young and less known artists to be able to make a living with their art. 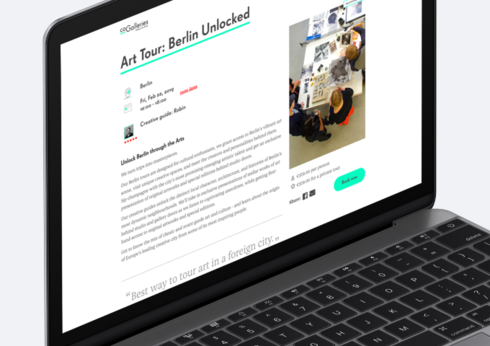 This is achieved by turning studios into temporary art galleries as well as a algorithmic matching system which allows artists to sell to a global audience.